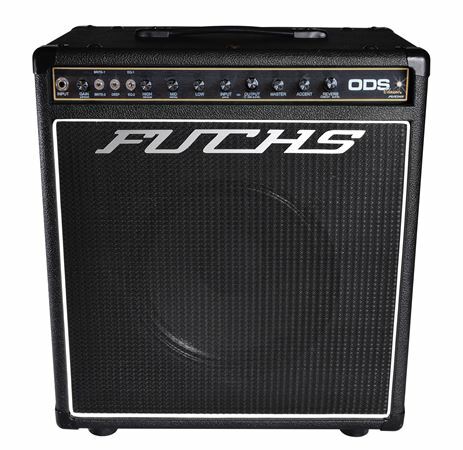 Shop Fuchs ODS Classic Dual Boost 2 Channel Combo 1x12 with Reverb 50 Watts from AMS with 0% Interest Payment Plans and Free Shipping. Continuing the legacy of their flagship amps, the ODS Classic series bridges the gap between the Casino series and the ODS-II series. The new ODS Classic represents not only a continuance but further advances the original ODS platform. Like our ODS-II and Casino amps, constant customer feedback and Andy Fuchs’ continuing quest to improve the tone and flexibility of our amps resulted in a quantum step forward for the platform. The original Overdrive Supreme (also known as the ODS) became an iconic amp over its near 17 year lifespan. When first introduced, it brought the previous unobtainable legendary D-style tones to a greater audience while adding features like a killer reverb, mid and gain boosts, separate bias controls per power tube and advanced construction techniques. Embraced by players as diverse as Al Di Meola, Kenny Wayne Shepherd, Jimmy Herring, Warren Haynes and others, it’s gained player and industry respect. One of the best amps I've ever owned so versatile with all the sound shaping features you can dial in just the perfect clean and dirty tones.